It is a professional wrestling and fighting sports. It is a single player and multi-player game. 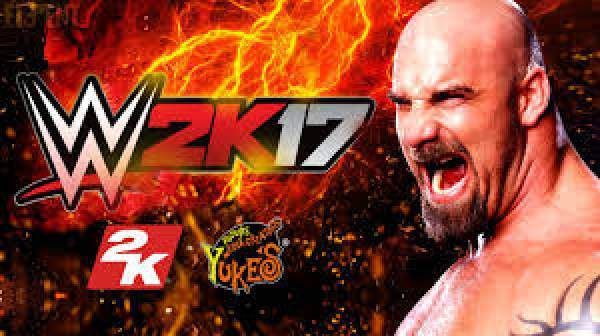 WWE 2K17 was officially announced by WWE and 2K on 31 May 2016. It is also declared that there will be two version of Goldberg(WCW and WWE) which will be the pre-order bonus character. There will be two gaming arena in this game. The arenas are Halloween Havoc and WCW Monday Nitro. Brock Lesnar was declared as the cover star of WWE 2K17. Its official soundtrack has about 13 songs from various artists. The soundtrack was revealed on 8 August this year. The gameplay includes the fight of the wrestlers in the ring as well as in the backstage area. The backstage fight will not include fall count option or any sort of disqualification. It is said that the game will include more than 150 wrestlers in it. Superstar wrestlers like Jimmy Garvin, Jason Jordan, Mojo Rawley, Sycho Sid, Tye Dillinger, Chad Gable, Dana Brooke, Asuka and much more. There are some premium players in the game. There is a MyCareer mode in the game which gives you the power to import and customize the wrestler. After choosing or making your fighter, you can fight with the world class wrestler and get ready for the upcoming events. After completing all the challenges, you can get some additional privileges by the authority. While customizing the skills of the player, there are some regular moves and special moves. To gain more points in the game, you need to show some special moves like dives, submission, and some special finishing technique. Pinning down your opponent will make the crowd excited. The player can save from the enemy by the counter attack, signature move, and finishers. In short, you just need to make the crowd eager to earn a lot of credits. It has got a fantastic code, and you will hardly get any bug. The game has hilarious scenarios which will greatly entertain every player. How To Play Bill Goldberg vs Brock Lesnar? Step 1: Firstly, go the eStore and then select Use Code. Step 2: Then, enter the 25 digit code given to you by the retailer from where you pre-ordered the game. Remember that the 25-digit code would have been given to you by your retailer only if you qualified for a pre-order bonus. Use this code. Step 3: Upon entering the code and the subsequent verification of the input, you should get a message that says Redeem your code or gift card. At this point in time, select Redeem. Step 4: To check if Goldberg was installed successfully, navigate back to the Store and initiate a new search for Goldberg. Step 5: Choose Goldberg, and launch WWE 2K17 game from within your consoles. Step 6: Now, in the match type options, choose One on One. Step 7: Here, you will get the list of superstars. Select downloaded superstars and bingo Goldberg becomes selectable. Choose him. The game has got an excellent rating from many websites which show that it is the good game to play. Hope you liked the content. Stay tuned to The Reporter Times for latest games’ news and updates. i bought the 2k 17 x box 360 game,but how come i don’t see Goldberg character in this 2k 17 game that i bought. i want to play as Goldberg character in this game.can you tell me why don’t have Goldberg in this game that i bought ? The above article updated with your query. Hope it helps you. Let’s know.